BREAKING: MERCEDES-BENZ has started to roll out its bespoke bus Centre of Competency facilities strategy, with the first venue opening in Perth, it was announced recently. Cake time! (L-R) Daimler Trucks Perth dealer principal Sean Edwards, Mercedes-Benz Bus senior manager Mehmet Karal, and Mercedes-Benz Truck and Bus Australia-Pacific director Michael May. With such venues to start up in major population centres across Australia, the Perth bus Centre of Competency - based on the 42,000m2 Daimler dealership site there - features bus-focussed staff with specialised training, unique equipment, increased parts supply and dedicated bus bays, the company says. 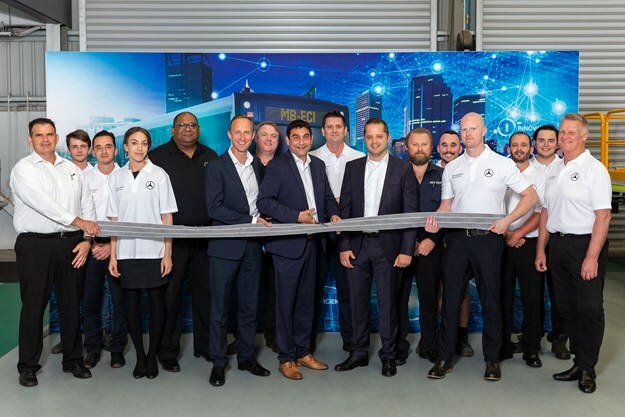 Mercedes-Benz Truck and Bus Australia Pacific director Michael May was on hand to cut a ceremonial ribbon with Daimler Trucks Perth dealer principal Sean Edwards, and Mercedes-Benz Bus senior manager Mehmet Karal, along other key bus staff members. May says Mercedes-Benz has been increasing its investment and commitment to its bus customers across Australia in recent years, but was now ‘doubling down’ on that commitment. "By opening a series of Centre of Competency facilities across major metropolitan centres in Australia, starting with Perth, we are demonstrating a sharper focus on the needs of our customers," May explained. 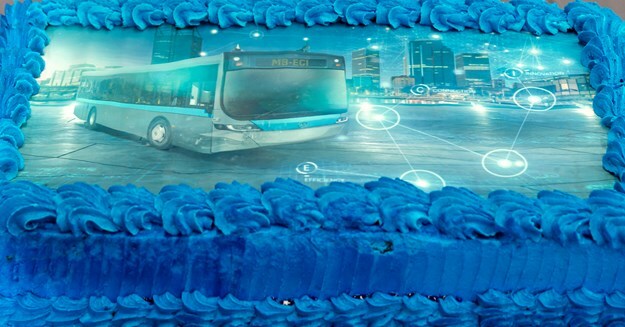 He adds that it is already well known that Mercedes-Benz has access to world-leading bus and coach product, which is setting new standards for innovation, safety, efficiency and comfort. 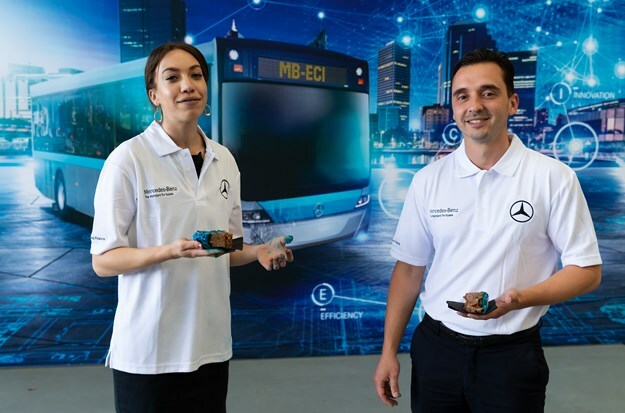 "We have incredible product now and our technology advantage is only going to become stronger with the introduction of electrification and autonomous driving elements, as you can see from Mercedes-Benz buses that are already on the road in Europe," he said. 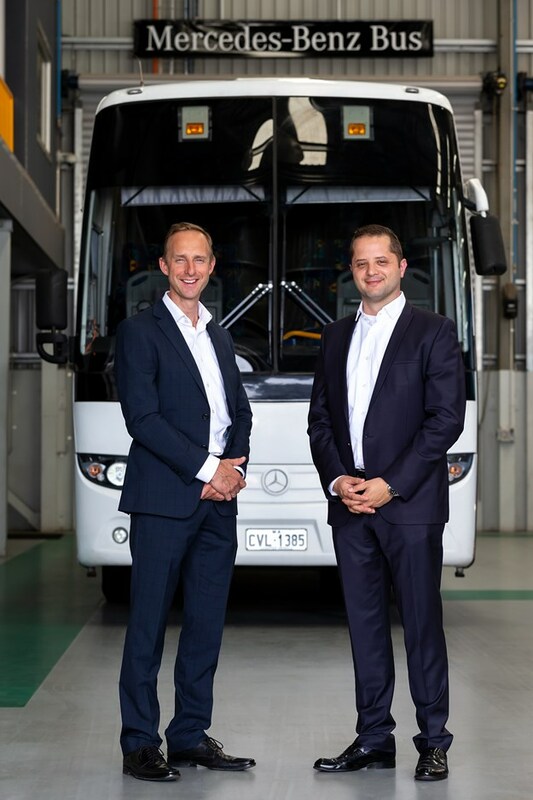 Mercedes-Benz also has a strong relationship with leading Australian body builders, ensuring that bus customers get the best quality product that suits their specific needs, it says. However, May says the company can’t rely on the product alone. "The bus business is all about people; the people who ride in them, the people who own and run these buses, the people who drive them and the people who are dedicated to looking after them," he said. "That is why we are ramping up our commitment to our customers, bolstering our bespoke bus service offering, upskilling our bus-dedicated workforce and increasing our bus parts availability to keep our customers’ buses on the road for longer."